If you haven't guessed already, Remoulade is known for their original homemade remoulade sauce. Unlike many remoulade sauces, the restaurant doesn't include mayonnaise, ketchup, or horseradish in their recipe. Paprika is used to give the sauce color and the other special ingredients are kept secret. Don't leave Remoulade without ordering the Planter's Punch. It's a favorite among the locals and features Pineapple Grenadine. It was fruity and strong. Pictured next to my drink is a Natchitoches Meat Pie. This meat pie features ground beef, ground pork, vegetables, and seasonings inside of a fried pastry. The beef and pork really compliment each other in this dish. If you're looking to try something outside of the ordinary then order this. These delicious boiled gulf shrimp are covered in Arnaud's famous remolaude sauce. I found them to be extremely filling and delicious. This seafood basket was quite tasty. The portion size was large and was fried to a perfect crisp. I was so focused on enjoying my soup that I completely forgot to take a picture. Remoulade's famous Turtle Soup features a delicious sherry and is quite tasty. It's made with real Louisiana Snapping turtle. This was my first time trying any kind of turtle and I can't believe I enjoyed it! If your not in an adventurous mood try ordering the Seafood Gumbo. It was also another favorite of mine. All of Remoulade's gumbos and soups are made fresh in house daily. 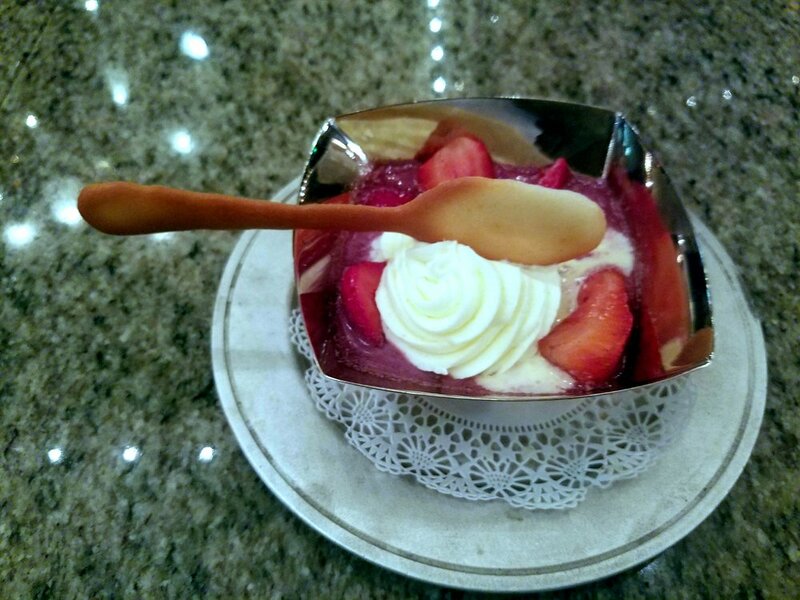 I ordered the Strawberries Arnaud which is not listed on the menu. Since Remoulade is a casual version of their sister restaurant Arnaud's next door, certain menu items can be ordered at both restaurants. This dish consists of strawberries marinaded in a port wine sauce, served over vanilla ice cream and topped with whipped cream. The cookie spoon that came along with this dessert was the perfect highlight. This is another must-order item and star on the menu. The bread pudding was also moist, rich, and baked to perfection. I was surprised to learn that the restaurant uses the same french bread from its Po' Boys to make the bread pudding. Remoulade is a great pick for family friendly dining on Bourbon Street. Don't hesitate to visit Arnaud's if you'd like a more upscale experience with similar great quality menu items. ***Disclosure*** I received a complimentary meal in exchange for my review. All opinions stated are my own.